Adding more of a collectible element are rare variations that have different paint jobs. 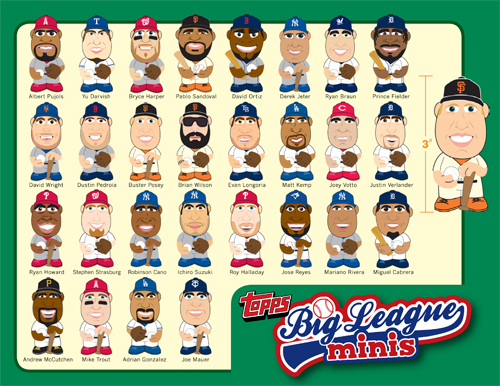 2013 Topps Big League Minis include several variations. Most of these are based on jerseys (regular versions are white, variations are dark or have color), but not all. I seen these at a sporting good store next to the candy. Got one, then tried to return it. haha…that was a funny comment Jason! Two years later I am reading this, and Jason’s comment made me chuckle as well.